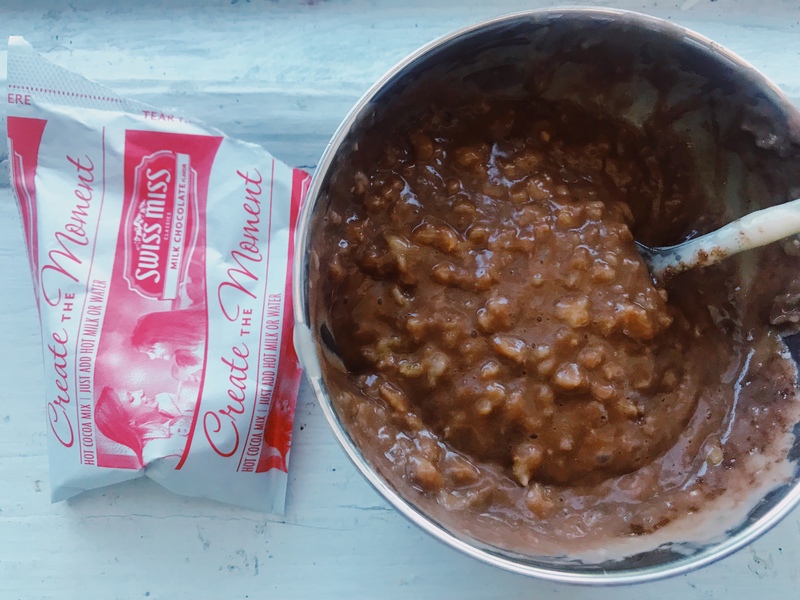 Hot Chocolate Oatmeal, anyone? Today was actually the first time I made this and it’s a winning recipe for sure! The kids gobbled this up so happily and quite quickly too! It was quite delicious and I can see this going through at least once a week for when two of the kids start school. 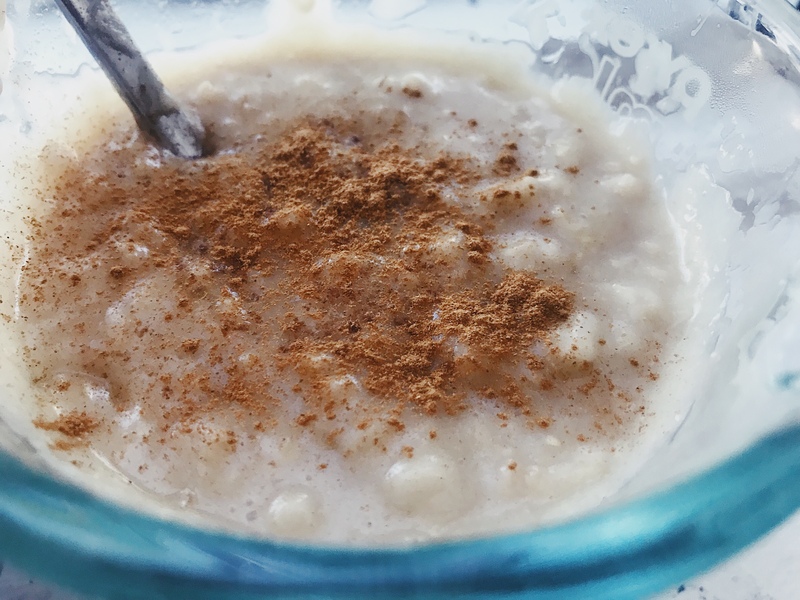 Just make oatmeal as you normally would (minus the sweetener) and add half a pack of instant hot chocolate (or more to your taste). 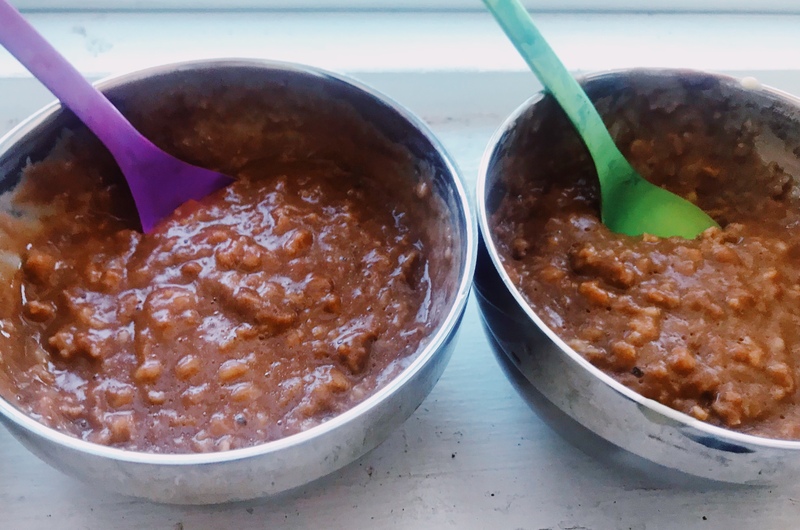 It’s Pretty much Filipino Champorado (or chocolate rice porridge— except it’s made with oats). 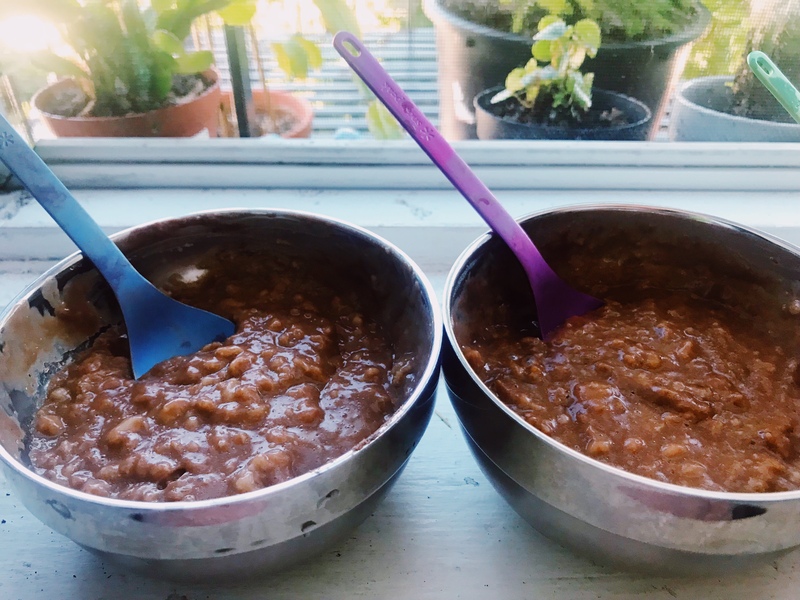 I ate mine right out of the measuring cup (one less dish to wash)that I had used to measure the oats and water/oat milk. I had mine plain with sugar and cinnamon. I recently made a post on how I swapped out all my children’s feeding essentials to stainless steel. You can find the post here. These set of stainless steel bowls take up more space, but are insulated. I stumbled upon them last year when I was trying to find a solution to keep the kids food warm longer because sometimes they eat so slowly and we don’t have a microwave to reheat if quickly. Although it’s cool to the touch outside, we still make sure it’s only warm before we serve it to the kids. The Snow Peak Colored Titanium Sporks you see in the bowls are a little sneak peak of one of the several items in my upcoming giveaway. You may have noticed them in my post on Transitioning from Plastic to Stainless Steel. The Giveaway will Celebrate my Half Year of my Blog and be themed Back to School. I am doing the giveaway a month earlier than my actually half year so that parents or guardians and their child(ren) can have the goodies in time for when school starts around September (going based on when my children start school). L I K E me on Facebook and follow me on Instagram to stay up to date on my latest posts and GIVEAWAY . I will be sprinkling tidbits of items from the GIVEAWAY , sometime mid- August.